'In a land wracked by hate and fear, an unknown boy proves his right to wear the bitter crown of power. 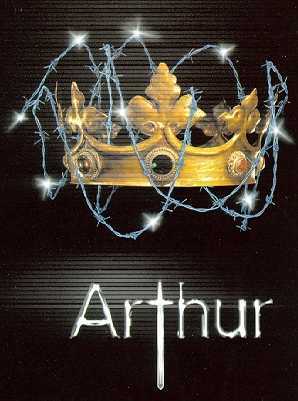 Backed by forces of magic, can Arthur conquer evil, or is he too flawed by human weaknesses to succeed? The survival of his kingdom and his own life as monarch are dependent on the powers that he holds, as he acts out his destiny. 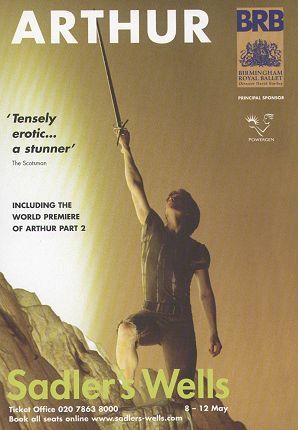 The world première of Part II of the Bintley/McCabe ballet on Arthurian legends took place at Sadler's Wells Theatre in London on the evening of 9 May 2001. Morte d'Arthur was preceded on 8 May by a performance of Part I: Arthur Pendragon, at the same theatre, and there were subsequent performances of Part II on 10 and 11 May. On 12 May the entire cycle was performed, with a matinée of Arthur Pendragon followed by an evening performance of Morte d'Arthur. A similar run of performances of the complete cycle took place between 30 May and 2 June at the Lowry Centre in Salford and between 6 and 9 June at the Theatre Royal, Plymouth. Arthur Parts I and II must represent the largest commitment to new story-ballet in recent times, and is probably the first ever ballet to form a two-full-evenings cycle. The specially commissioned score lasts four hours, and must be one of the biggest compositions to be undertaken by a living composer. Arthur Pendragon received its première in Birmingham in January 2000, as a Millennium project. The Independent on Sunday wrote of the music, 'Composer John McCabe must take much of the credit. His marathon orchestral score ... underpins every nuance, every hitch of tension, every thundering climax ... What you hear is inseparable from what you see - surely the mark of a great dance score'. The Independent (daily) 'Week in Review' critical summary concluded '... a fine score by John McCabe'. The remainder of the production team was the same as for the highly successful ballet, Edward II (music now available complete on Hyperion CDA 67135/36, Royal Ballet Sinfonia/Wordsworth), with Peter Davison designing the sets, Peter Mumford the lighting and Jasper Conran the costumes. 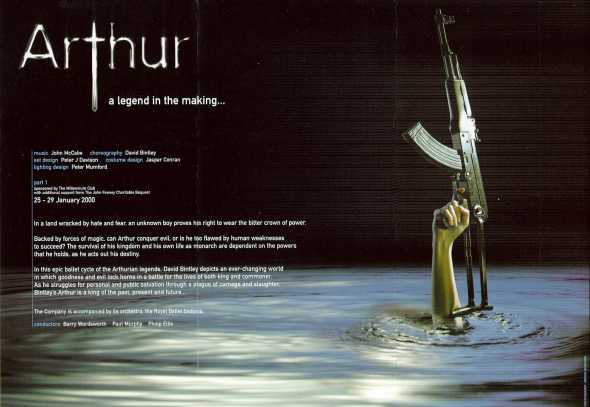 The Birmingham performances of the Arthur cycle, which were temporarily postponed, due to refurbishment at the Birmingham Hippodrome, took place 4-8 March 2003.